Without a doubt, blooming columneas put on quite a display. That’s just the beginning of their allure. The foliage of the beautiful stained-glass varieties is something to be seen. Looking at these exotic plants you might be tempted to think they’d never grow in your house. And that’s where you would be wrong. Many beautiful examples are grown in the homes of folks with just a little bit of knowledge about their proper care. 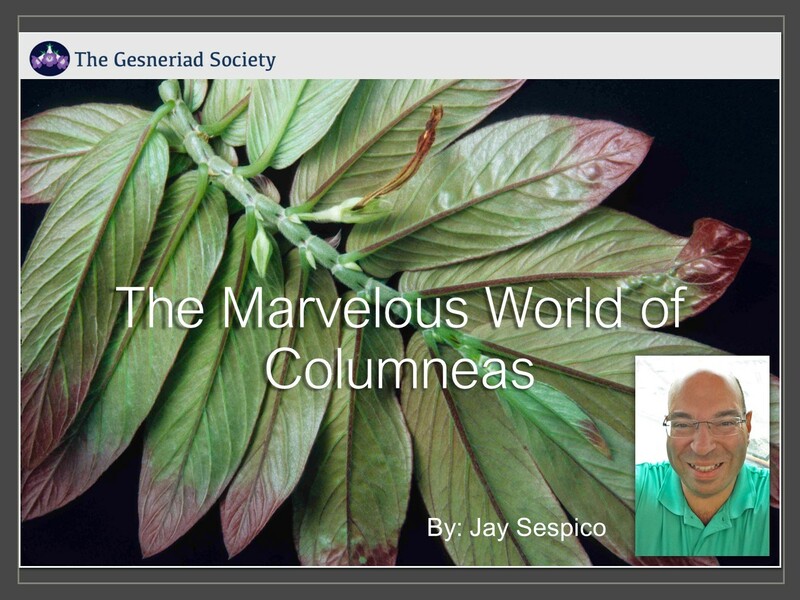 Jay Sespico is one such grower, although to say he’s got a little understanding about columneas is a huge understatement. He graciously shares his considerable expertise on growing these beauties in this latest Gesneriad Society webinar. Join us and see wonderful examples of columneas and learn a little of their history and, most importantly, how you can grow them in your home. After seeing this session you will be inspired to grow some of these marvelous plants.